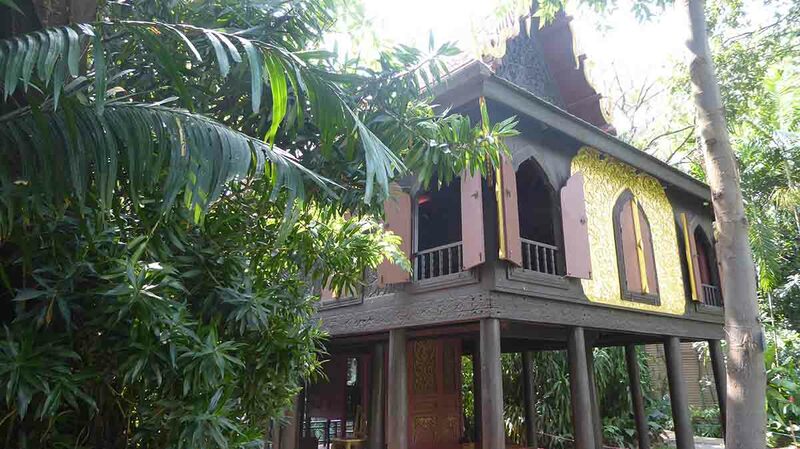 Suan Pakkad Palace Museum is a complex of eight traditional Thai-style houses. 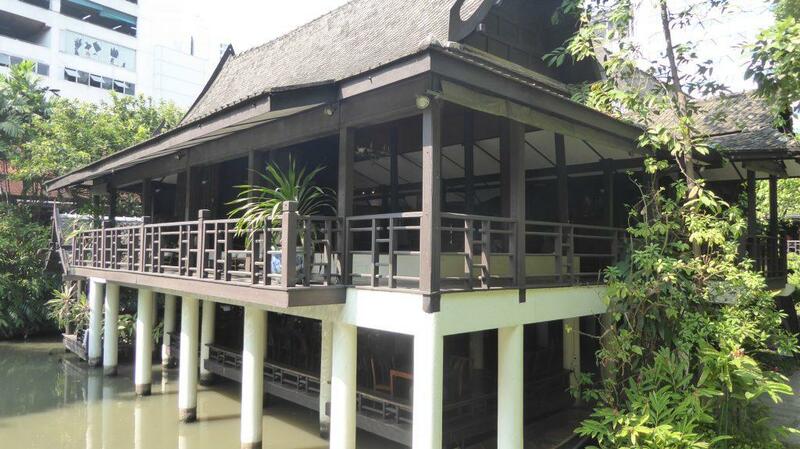 They were once the residence of Prince Chumbhot of Nagara Svarga who was one of Thailand’s leading art collectors. The complex houses an extensive collection of Asian art and antiques, including items from the historic Ban Chiang civilization. 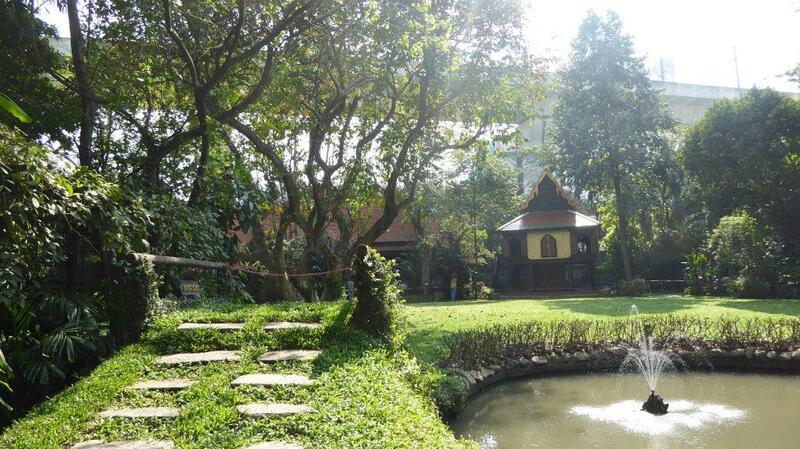 “Suan Pakkad” means cabbage garden which is what was on the land before the palace’s construction in 1952. 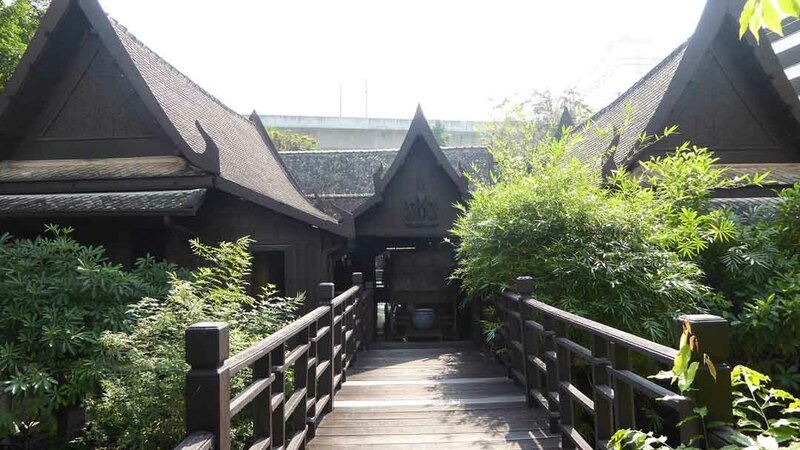 The houses were transported from their original locations outside Bangkok and reconstructed. 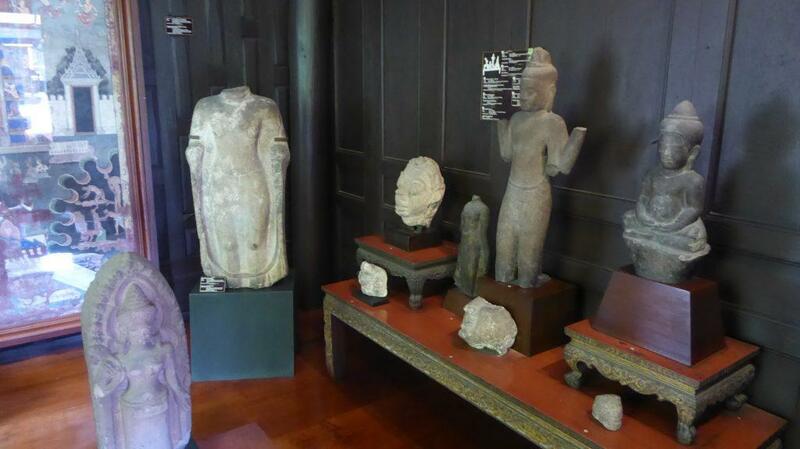 The exhibits on display in the houses include musical instruments, Buddha images, & stone sculpture. Also ceramic items, traditional Thai furniture, rare rocks, minerals, and seashells. There is also a collection of Thai and European drawings, household items, and prehistoric artifacts from Ban Chiang and elsewhere. 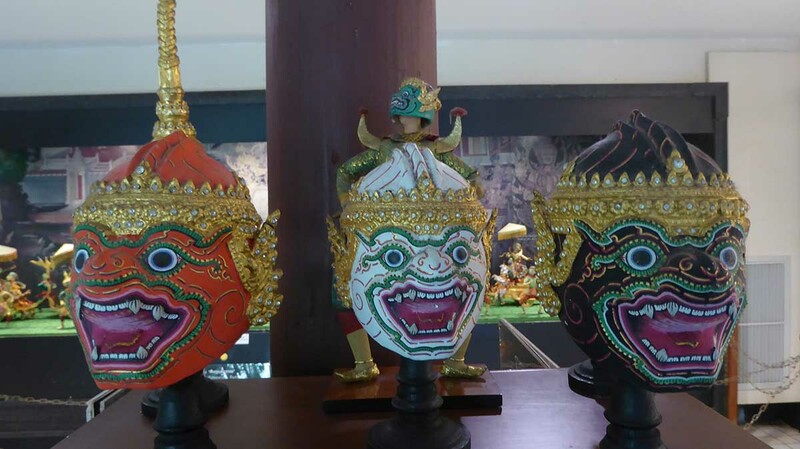 Highlights include a Khon Museum ranging from full-size masks of the heroes and villains. There are also puppets, clay figurines and a model battle featuring moving figures. 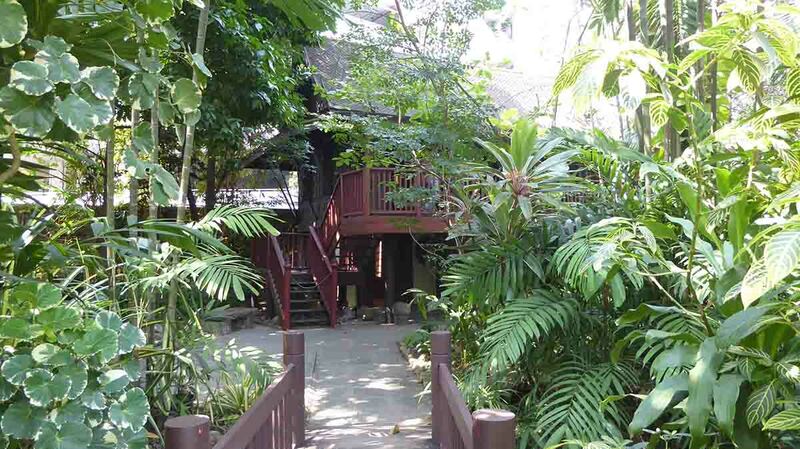 Also, a house containing a private chapel complete with a superb collection of Buddha images. 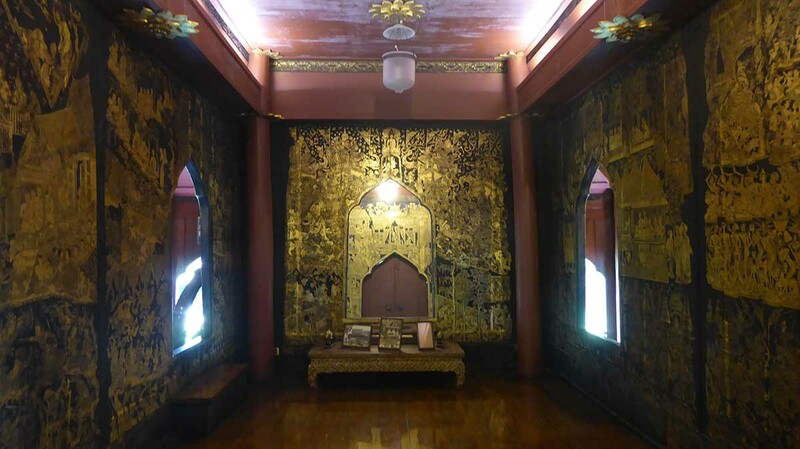 It also contains paintings from different periods of Thai history. 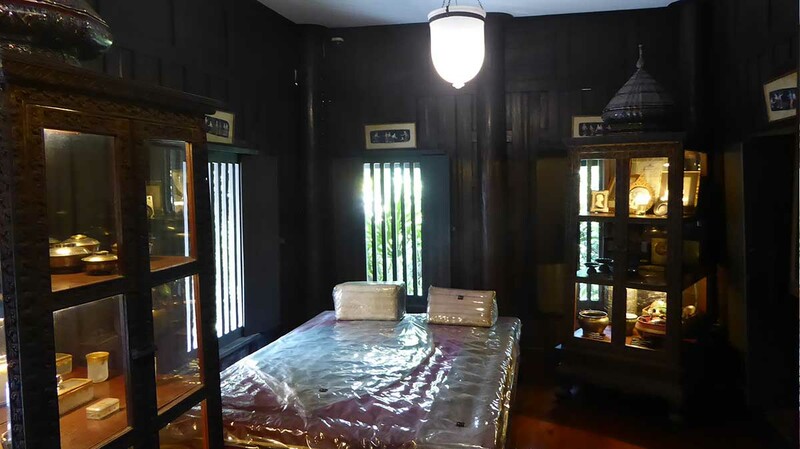 Probably the most impressive house is the Lacquer Pavilion which dates from the 17th century. It was found in a temple in Ayutthaya and restored. 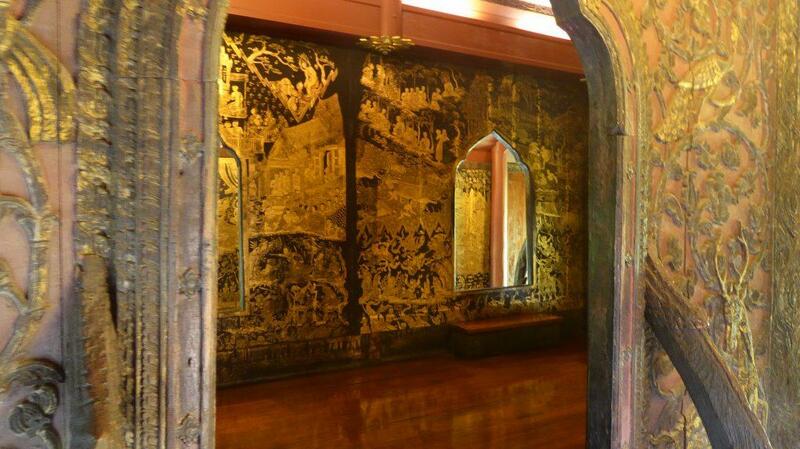 Inside the pavilion, there are wonderful mural paintings in gold and black lacquer. 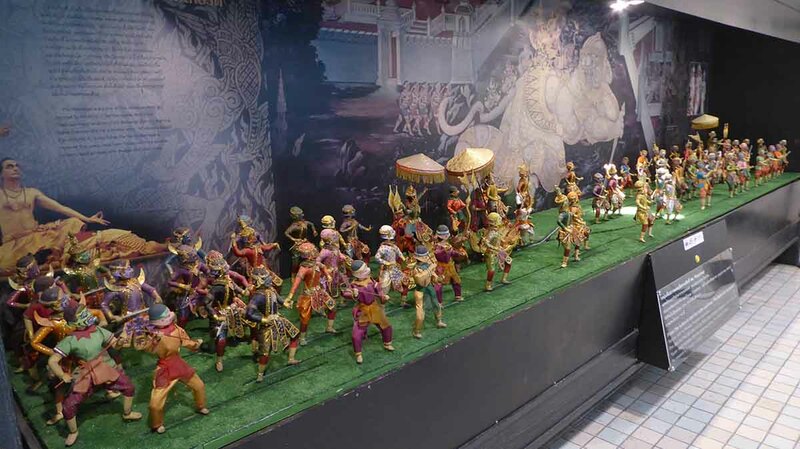 They depict the life of the Buddha and stories from the Indian epic, Ramayana. 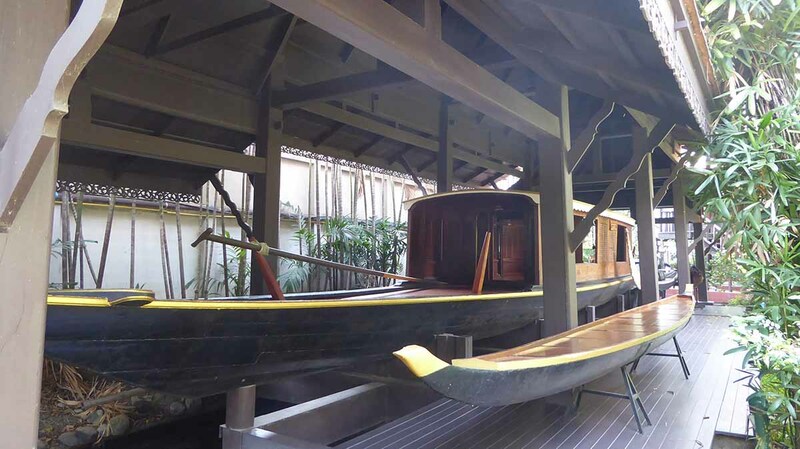 Next, to the Laquer House is an original Royal Barge used in river processions during the reign of Rama V.
The leafy grounds are peaceful and relaxing with some nice shaded seating areas. There is a cafe with a balcony overlooking the pond. Also in the complex is The Marsi Gallery which holds exhibitions of contemporary art. Rules: No bags allowed inside. Free Lockers. Photography prohibited in some areas.